If you have ever had any interest in learning the fun art of catching fish on a fly rod then now is the timeto do it. The fish are active, hungry and we are seeing hatches almost daily. 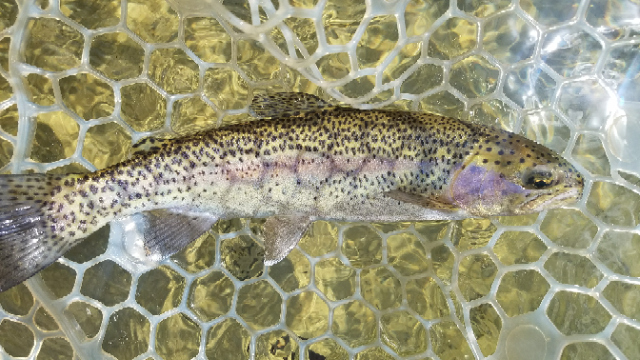 We have been out on the river quite a bit this week and landed some really nice fish. Greg made his way down to N.C. from Kentucky to fish the area for the week. 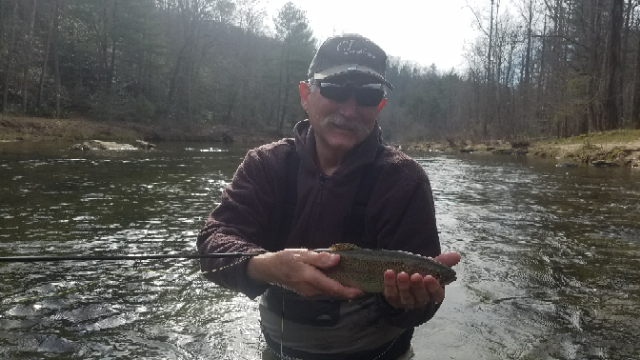 Greg and his guide, Cade had a awesome day together fishing Wilson Creek D.H.. A brown girdle bug in size 10, size 14 and 16 egg patterns, size 16 slow water pheasant tail nymphs and size 16 and 18 rainbow warriors seemed to be the flies of choice. If we can help you out just give us a call or shoot us a message. 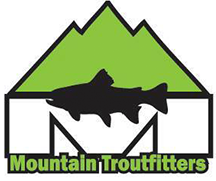 I highly recommend spending a day fishing with Cade Buchanan and Mountain Troutfitters. Cade is an interesting fellow who recounts local history while he puts you on the fish. 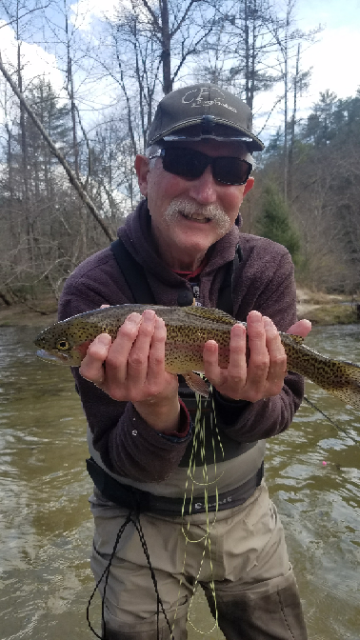 From a first cast rainbow to a toward the end of the day 5 minute epic battle with a 3lb “brawler” things were never dull and the fish kept coming. Thank you, Cade, for a memorable day!